The ABA House of Delegates unanimously adopted a resolution on Monday urging law schools and bar associations to counsel young attorneys on student loan debt. Resolution 106 urges law schools to provide “comprehensive debt counseling and debt management education” to law students, and urges bar associations to provide the same services to their young and newly admitted lawyers. Chris Rogers of Texas, speaking in favor of the resolution, pointed to the dismal employment statistics young lawyers have confronted in recent years. The Section of Legal Education and Admissions to the Bar reported in 2013 that 56.2 percent of law graduates held full-time, long-term jobs requiring a law degree, excluding jobs created by law schools. The advocacy group Law School Transparency put that number at 55.1 percent. After seven wonderful weeks in San Diego, I am back in Malibu. This was my eleventh summer teaching at the University of San Diego School of Law, and I am grateful to Dean Stephen Ferruolo and the kind folks at USD for having me back again. My 65 Tax I students were a joy, as they worked diligently in teams to answer 300 clicker questions over the 21 class sessions. It is a treat to spend seven weeks each year in "America's Finest City" and see our many friends there. It is a time of transition for the USD tax faculty, as Karen Burke, Mark Hoose, and Grayson McCouch have departed and Howard Abrams, Miranda Perry Fleischer, and Vic Fleischer have joined Jordan Barry and Bert Lazerow on the tax faculty. Unfortunately, Mr. Verrone does not offer figurines and trading cards for Tax Court Judges. My wife, daughter, and I (and our house guest) drove 80 miles yesterday to hear Rick Warren preach at Saddleback Church. The trip was at the top of my Southern California to-do list, as I had read Warren's wonderful book, The Purpose Driven Life (the best-selling book in American history, apart from the Bible) at the inauguration of my time in a men's group in Cincinnati. We heard an incredibly moving message on Surrender: The Path to Peace, part of a series on The Six Phases of Grief, as Warren and his wife Kay spoke about how they have dealt with the suicide of their 27 year old son Matthew four months ago, ending a life-long struggle with mental illness. It was an especially timely message for us, as the Pepperdine community is still reeling from this month's tragedy involving the Adamson family. In my previous post written on Christmas Day 2009 when we adopted Josie for our then-high school senior daughter, I wrote that "our empty nest years will be more complicated, and fuller, now." I can state unequivocally that Josie indeed has made the past three years since our daughter left for college "more complicated, and fuller" (although I fear for the long-range health implications). After seven glorious weeks in San Diego, my wife and I are hitting the road today back to Malibu. This was my tenth summer teaching at the University of San Diego School of Law, and I am grateful to Dean Stephen Ferruolo and the kind folks at USD for having me back again. My 74 Tax I students were a joy, as they worked diligently in teams to answer 300 clicker questions over the 21 class sessions. My wife and I cherish our chance to spend seven weeks each year in "America's Finest City" and see our many friends there. It is a time of transition for the USD tax faculty, as Karen Burke, Mark Hoose, and Grayson McCouch depart and Howard Abrams, Miranda Perry Fleischer, and Vic Fleischer join Jordan Barry and Bert Lazerow on the tax faculty. 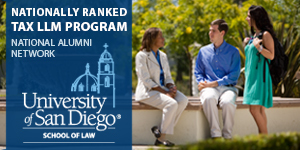 It speaks volumes about USD's bright future that they are able to attract and retain such a talented crop of students and faculty, especially in this difficult environment for law schools. After 23 years at the University of Cincinnati College of Law and the past four Spring semesters at Pepperdine University School of Law, I have accepted an offer to join Pepperdine's tenured faculty beginning in the Fall 2013 semester. My wife and I loved our time in Cincinnati, as we launched our careers, raised our children, and found our faith there. We will be forever grateful that the University of Cincinnati College of Law and the United States District Court for the Southern District of Ohio took a chance on us 23 years ago. I am honored to join the line of lateral faculty that Pepperdine has hired in recent years, including Doug Kmiec (Dean, Catholic), Ed Larson (Georgia), Grant Nelson (UCLA), Bob Pushaw (Missouri), and Tom Stipanowich (Kentucky). Indeed, Brian Leiter (Chicago) recently noted Pepperdine's "steep upward trajectory of both lateral and junior hiring over the last decade," which is reflected in Pepperdine's dramatic rise in the U.S. News rankings, caused in large part by the third-largest increase in academic reputation among 172 law schools over the past 16 years (A Longitudinal Analysis of the U.S. News Law School Academic Reputation Scores between 1998 and 2013, 40 Fla. St. L. Rev. ___ (2013)). Although it is a Christian university, Pepperdine welcomes faculty of all faiths. Pepperdine's other lateral tenured hire this year is Ahmed Taha (Wake Forest), who will be the law school's first Muslim professor. Yes, I know, I’m involved in this one, but I don’t post very often, so I can pretend to be objective. This blog has great coverage of the current debate about what needs to be done with the current approach to legal education and what law schools are doing in the area of skills education. At long last, the notorious tax cheat, Santa Claus, has been apprehended. He has been living in a foreign country for the last 50 years and during that time he has not filed his US taxes even once. It has become clear, however, that he has run a lucrative business at the North Pole and has never reported any of the income. 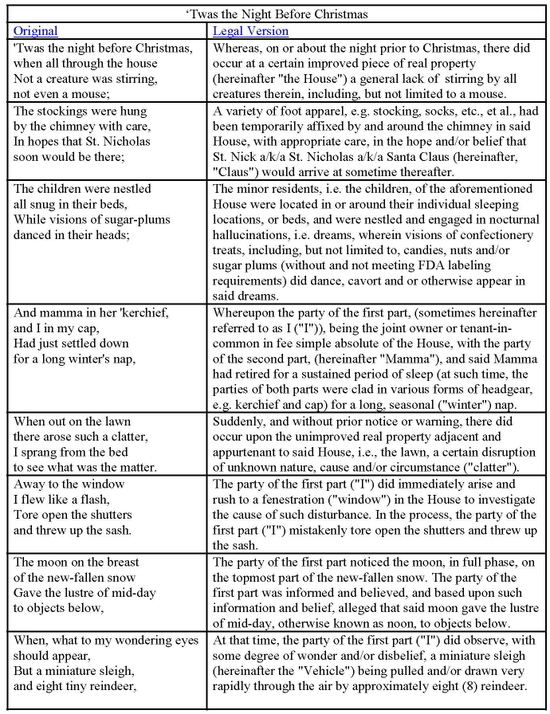 In addition to criminal tax evasion, we intend to charge Santa Claus with 190 counts of criminal failure to file Foreign Bank Account Reports (FBAR), as we found evidence in his papers that he is operating or has signing authority on bank accounts in 190 different countries. It is our contention that the fines alone could help us bring billions in revenue into the United States government. According to United States law, all United States Citizens are required to pay taxes to the IRS and to report any foreign bank accounts. Failure to obey these filing requirements may result in civil and criminal penalties including imprisonment. Reed, congratulations on your final college soccer game yesterday. It has been a joy to drive the 30,000 miles over the past four years to watch your games. I have never seen anyone whose play more perfectly captures who he is as a person -- you play (and live) with joy, passion, perseverance, humility, and selflessness. Your special gift is that you make those around you better, on the athletic field and off. So now that we're moving on to the next season, I can let you in on a secret: it was never about the games. Rather, sports provided me with the excuse to simply spend time with you. In many ways, sports have been the soundtrack of our lives, playing in the background while we spent precious time together as you grew into the remarkable young man you are today. Your mother and I will never forget our tearful embrace after yesterday's game and the tender words we exchanged. It was a wonderful capstone to a senior year we will always cherish. Although the games have been great, better still have been the many breakfasts and dinners (and shivering nights at the Dairy Barn) with you and your friends. Remember always that your mother and I love you beyond all measure. And that God loves you infinitely more. Being your parents has been the great honor and privilege of our lives. If you’re not getting the range you want from your home or office wireless network, there are many ways you can go about expanding your coverage. In this guide we’ll discuss some of the most popular methods, many of which involve upgrading and purchasing new gear (always a fun topic). Before you spend a cent, make sure to check out our tips on how to fix your Wi-Fi network to see how you may be able to get better Wi-Fi coverage from changing your router’s channel or placement. If those tips don't do the trick, keep reading for a few more specific ways to extend the range of your wireless network. Yesterday was a bittersweet day for my wife and me: with our two kids off to college, we sold our family home of 22 years. We left Boston in 1990 to move to Cincinnati to start a family, and we were blessed to buy a wonderful home in Mariemont, Ohio. We celebrated many wonderful events there -- baby's first day home from the hospital, toddler's first steps, first day of school, birthdays, sleepovers, proms, graduations, Easter, Thanksgiving, Christmas. But what I remember most is the simple joy of turning into the driveway after a long day, into the warm embrace of home and family. Our laughter often bounced off the walls. Other times, the floors absorbed our tears. But all somehow ennobled our home, enriching our lives. My wife and I held hands and prayed as we left 3810 Miami Road for the last time, thanking God for the incredible blessing of our time there. We tried to be good stewards, taking the opportunity with every repair, improvement, and addition through the years to strengthen the home for her future journey. I remember a scene from Thirtysomething, in which Hope sat at a window seat, seeing the ghosts of the prior families that had lived in their home. As we turn our home over to the fifth owners in her 62-year life. we pray that they will love her as we have, and will appreciate her many blessings. TaxProf Blog Email Service: Email me to be added to my twice daily (during the week) and once daily (on the weekend) emails to the TaxProf Discussion Group with titles and links to recent TaxProf Blog posts. For law students who know what legal field they are interesyted in Law Professor Blogs is a great resource. Broken down by specialty, the blogs on the site are created by law professors, for law professors. The blogs contain links to recent news in their fields, as well as abstracts of newly published papers. Taxes for individuals are more complicated than ever. American lifestyles include changing jobs, being more mobile and selling homes more often. Companies are more complex with mergers, multinational systems, and takeovers. And to fill the need, came individuals with an assortment of training and backgrounds to help individuals and corporations with taxes. Tax preparers who can range from having no training to extensive training, accountants and CPAs, and tax attorneys all help individuals and corporations with taxes, both national and state. Those who help with taxes range from the individual sitting at a folding table in Wal-Mart or Sears to tax attorneys who can earn up to more than a million dollars per year practicing tax law. 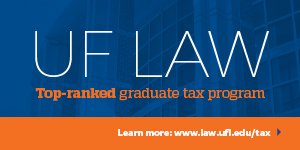 The tax attorneys are at the top of the professionals doing tax work. You get the impression from skits on TV that those who deal with taxes whether from the IRS side or representing individuals and business are heavy handed brutes, but in fact this occupation requires a keen and subtle mind. While tax attorneys make up only a small percentage of practicing attorneys, this specialized field is highly respected. It takes an astute person to understand the complicated and ever changing tax codes. It is a personally and professionally challenging field. Clarify tax laws for the interests of the client. Represent the government or the client in dealing with tax issues. Make recommendations and develop strategies optimizing tax savings. This report will introduce you to this personally and financially rewarding field. You will be able to see if this intellectually challenging vocation is the place for you. Now would be a good time to find out if you have the aptitude, intellect, and personality traits to become a tax attorney. Many are lured by the movie and TV images of lawyers and go into the field only to find they are not suited to the career. Before you invest a minimum of seven years in college getting a bachelor's degree and a law degree, you should participate in some exploring and self-discovery. Four pages long, including one page of instructions. Impressively framed in classic mahogany with beaded edge and segmented mat of ivory. Brass plate mounted on the mat states: "1913 Inaugural Form 1040." Framed dimensions are 30" by 24". Comes with Plexiglas and all accessories for hanging. Unframed copies of the 1913 Form 1040 can be downloaded for free at the IRS and the Tax History Project. There are also copies available on eBay (here and here). Does it pain you to fill out a tax form each year? Does knowing that the IRS takes a large chunk of your salary give you the runs? This product isn't deductible, but it'll sure make you feel better. A collage of the 1040 IRS Form is printed throughout the whole roll! "I'm gonna write you off!" "You can pay me now, or you will pay me later!" "It's time to cut the crying, and start paying!" "Even the dead have to pay taxes!" The Photogravure printing process produces a superior image that registers a wide variety of tones and shades. These photogravures were created from an engraved plate and show detail, contrast, and depth similar to a fine photograph. Perfect for framing collecting and displaying. The over all size of the paper is approximately 12.25 inches by 9.25 inches. The approximate size of the images are 9.5 inches by 7.25 inches. There are SIX separate pages. These were printed in 1930. They are NOT a modern reproduction. Walk into the Supreme Court gift shop, and there, among all the books on the history of the court, is a cookbook — yes, a cookbook. Put together by the spouses of the Supreme Court justices, it is a tribute to a master chef, the late Martin Ginsburg, husband of Justice Ruth Bader Ginsburg. 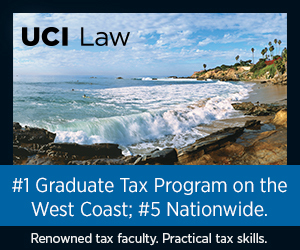 By day, Marty Ginsburg was one of the nation's premier tax law professors and practitioners. By night, he was one of the nation's most innovative and accomplished amateur chefs. Chef Supreme is more than just another cookbook, it is a tribute. Full of recipes, photos and fond tales, this cookbook was created by the Associate Spouses of the Supreme Court in memory of Martin Ginsburg. It is the perfect gift for those who enjoy cooking! The Blaze provides this heart-wrenching image of a dog lying beside the casket containing the body of his master, Petty Officer Jon Tumilson, who was killed on August 6 in Afghanistan (and was posthumously awarded the Purple Heart and Defense Meritorious Service Medal). The dog laid next to the casket during the entire memorial service on Friday.